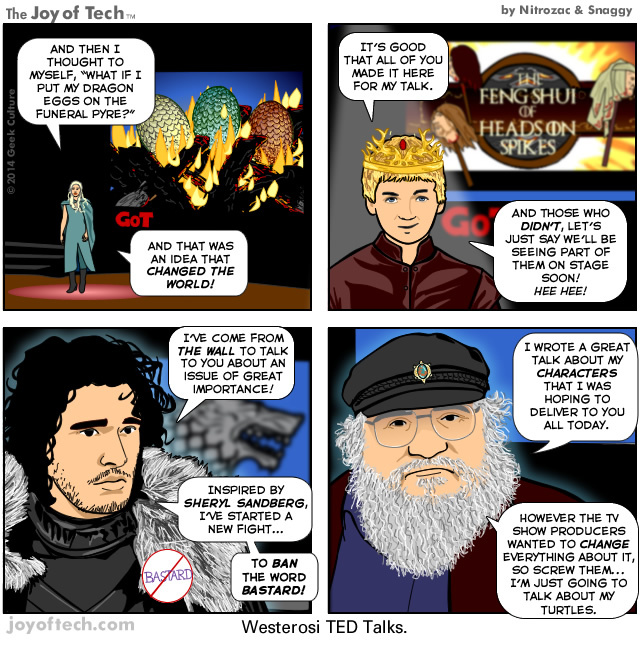 Which Westerosi TED Talk would you love to see? King Joffrey's "The Feng Shui of Heads on Spikes". Tyrion Lannister's "It's not easy being drunk all the time. But I will teach you". Daenerys Targaryen's "Dragons of Mass Destruction: A realistic vision for world peace". Tywin Lannister's "Family is Everything". Eddard Stark's "How not to lose your head in a tough situation".